This page is full of useful links & information for visitors & residents of Barton-upon-Humber. Barton Local Link - The Old Magistrates' Court, High Street, Barton. Tel 01652 632095. Open Monday to Friday 9am to 5pm (except Wednesday 9am to 4pm). Barton Local Link - Surgeries - Citizens' Advice Bureau - Monday 9.30am to 12 noon. Barton Local Link - Surgeries - Careers - Tuesday 9.30am to 1pm. Barton Local Link - Surgeries - Pension Service - Alternate Thursdays 10am to 1pm. Barton Local Link - Surgeries - Registrar - Monday, Wednesday and Friday 9.30am to 12.30pm. Barton Town Council - Assembly Rooms, Queen Street, Barton. Tel 01652 633598. North Lincs Council (Barton Office) - 01652 632095. 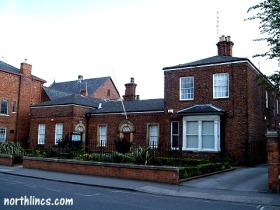 Doctors - Central Surgery, King Street, Barton. Tel 01652 635435/6 - enquiries, 01652 632565 - appointments, 01652 632573 - emergencies, 01652 632257 - dispensary, 01652 632127 - prescriptions, Fax 01652 636122. Doctors - West Town Surgery Tel 01652 660041. Hospital - Scunthorpe General, Cliff Gardens, Scunthorpe. Tel 01724 282282. Hospital - Grimsby General, Scartho Road, Grimsby. Tel 01472 874111. Hospital - Hull Royal Infirmary, Anlaby Road, Hull. Tel 01482 328541. Hospital - Castle Hill, Hull. Tel 01482 875875. Barton Recycling Centre - Gravel Pit Road, Barton. Open (Winter 1Nov-28Feb) 10am to 4pm every day except closed on Wednesday and Thursday (Summer 1Mar-31Oct) 10am to 6pm every day except closed on Wednesday and Thursday. Public Transport - Linconlshire Road Car Tel 01522 532424, East Yorkshire Motor Services (Buscall) Tel 01482 22222, or Traveline Tell 0870 608 2 608. Social Services - Dunstall Street, Scunthorpe. Tel 01724 282009 or 01652 632517. Humber Bridge Board - Tel 01482 647161 (24 hour travel info Tel 01482 641640). Leisure Centre - Baysgarth Park. Tel 01652 632511.